Welcome to preview mode! You can sample the first lesson below before you enroll. Click here for guidance on how to progress through the lesson. 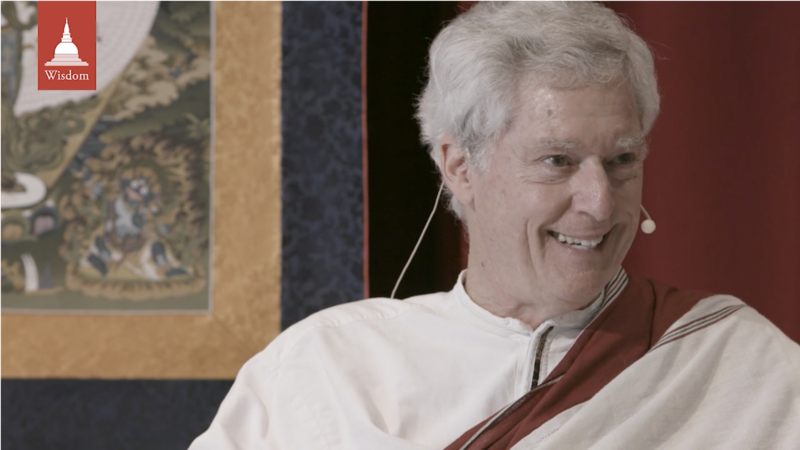 In this video Alan Wallace overs us an overview on the four applications of mindfulness. Not available in preview. Click here to log in. Feel free to download and refer to the following notes, which Alan Wallace will cite and offer commentary on, throughout the course. 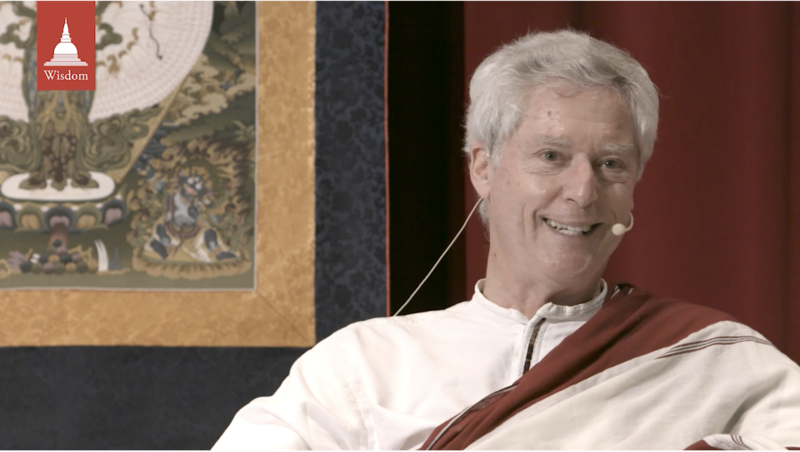 Course Notes: "The Four Close Applications of Mindfulness"
In this audio meditation, Alan Wallace guides us through settling into awareness by witnessing the somatic field. Please find a comfortable position, and practice along with the guided meditation. As we embark on any meaningful venture of any kind, it can be very meaningful to arouse the most authentic motivation we can for that endeavor. Your highest ideals, your greatest aspirations, your yearning for freedom, for liberation. Your yearning for spiritual awakening for the sake of all sentient beings. With such a motivation set your mind, your body, at ease; as you let the locus of your awareness descend into the body right down to the ground. If you’re sitting on a chair where your thighs, your buttocks, are in touch with the chair; our feet with the ground. If you’re sitting on a cushion, down where your body meets the cushion to the earth element. Rest your awareness in a witnessing mode. Not visualizing or thinking about the body. But simply experiencing the tactile sensations, of contact with the earth. Let your awareness fill the entire somatic space of your body; experiencing the sensations through your legs, through your torso, your arms, up to the top of the head. Be mindfully present throughout the entire body. Simply attend to this fluctuating field of sensations. Continue to rest your awareness in this witnessing mode, simply attentive to sensations arising from moment to moment. And if you feel any tightness or constriction anywhere in the body – such as the shoulders, or the back – as you breathe out, surrender those muscles to gravity. Relax more and more deeply with every out-breath. The muscles of the face are often magnets of tension, of tightness. So bring your awareness to the face. To the area around the mouth—soften, relax the muscles. Soften the jaws. Bring your awareness to the forehead. Let there be an open spacious sense of the forehead, an openness between the eyebrows. Soften all the muscles around the eyes. Soften the eyes themselves. In short, let your face rest in an expression of repose—relaxed, carefree. And set your whole body at ease. Relaxed and comfortable. And insofar as you do feel a sense of comfort and ease in the body you should find it quite easy, for the brief duration of this session, to remain very still. With just the movements of the breath, but no unnecessary fidgeting or moving about. This you will find helps, supports, the composure of the mind—the inner quiet of the mind. Let your body be relaxed, still. And the third quality is vigilance. That is for those of us who are sitting upright, let your spine be straight. Just slightly lift your sternum, so you are sitting at attention while keeping your abdominal muscles loose and relaxed. If you’re in the supine position, simply relax fully. And whether sitting or in the supine position, as the breath flows in let the sensations of the respiration flow down to your belly, which expands as you inhale, falls back as you breathe out. So this is a good habit to cultivate. When you breathe, breathe as if you are filling a vase with water from the bottom up. As you breathe in let the sensations of the respiration flow down to the belly, which expands first as you continue inhaling. Secondly, the diaphragm will expand. And if it’s a deep breath, finally, the chest will expand. If it’s a shallow breath, probably just the abdomen expands. In this way settle your body in its natural state. A state of dynamic equilibrium in which your body is relaxed, still, and vigilant. Then we take on the subtler challenge of settling the speech in its natural state, which is a state of effortless silence. Outwardly, you’ve already achieved this. But then we turn our attention inwards to the speech, or the voice of the mind. The internal commentary, the chit chat, the rumination. We find it’s not so easy settle to the voice of the mind in a state of effortless silence. The habit, the momentum, behind an ongoing flow of chit chat is very strong. So to facilitate this we settled the respiration in its natural rhythm, which means allowing the breath to flow in and out effortlessly, and without any impeding the flow of the breath. Breathing as if you were deep asleep. The key here is the out-breath. With every out-breath relax your body, release muscular tension more and more deeply. With every out breath release the breath all the way through to the end holding nothing in reserve. This does not mean that you’re forcefully expelling the breath, but rather that you let it flow out, and out. Until it’s all flowed out, effortlessly. As you come to the end of the breath let your mind be very silent, and attentive. Continuing to release the breath all the way through the end. And with each exhalation, simply release any thoughts, memories, mental images that may have come to mind. Like a gentle gust of breeze, blowing away dry autumnal leaves. Simply release these thoughts and images back into the space of the mind, return to silence with every out-breath. And when you fully release the breath – on the exhalation – deeply relax. And simply allow the next breath to flow in effortlessly without impeding it, without pulling it in. Let it simply flow in. Like a wave washing up on shore. Whether that in-breath is deep or shallow, short or long, let it be. Do not try to modify or control the breath in any way. Let the body breathe without intervention. Let the body find its own equilibrium. Allow the breath to flow naturally. This way we release the energy behind the turbulence in the body and mind, which so often express itself as mind-wandering. Release. 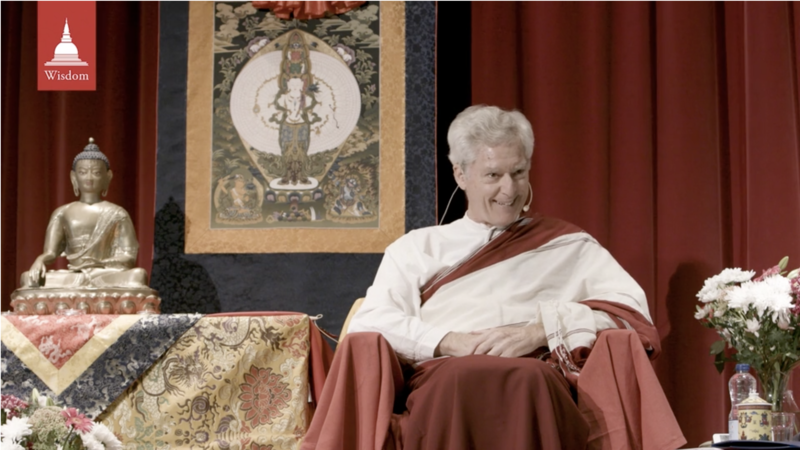 In Tibetan Buddhism we often hear about the rarity, and the preciousness of human life imbued with leisure, and opportunity. We turn now to the third, and most challenging of these settlings, the settling of the mind its natural state. And we begin by setting the mind at ease, which means allowing ourselves leisure, and opportunity. Temporarily release all concerns, hopes and fears about the future, and the past. Allow yourself the leisure, the opportunity to let your awareness come to rest, releasing all grasping. Come here to rest in the present moment, unmoved by thoughts, memories, fantasies. By releasing all grasping – all desires and aversions – your awareness comes to rest in stillness, in silence. And in that silence is unveiled the natural clarity, the luminosity, the brightness of your own awareness. Rather than falling into a stupor – or simply sitting there with a blank mind – settle your mind in its natural state by coming to a state of ease, of stillness and of clarity. Discerningly, brightly awake. The few remaining minutes of this session rest there. We call this resting awareness in its own place, holding its own ground. Without directing the awareness outwards or inwards; without doing anything with it or meditating on anything. In utter simplicity simply sustain this flow of mindful, discerning presence. Simply being aware—sustaining the sense of ease, stillness, and clarity. Without distraction and without grasping. Without distraction means maintaining that stillness of your awareness like an unflickering candle flame. Not carried away, not drawn off by sensory sensations or by thoughts, but remaining present. Sustain this mindful presence without distraction, and without grasping. Grasping means identifying with any of these thoughts, these desires; these states of mind that arise and pass. Let your awareness be like space in which clouds form, and they dissolve back into the sky, but without the sky contacting about them—remaining open, spacious. Whatever thoughts or images arise in the mind let them arise, and let them dissolve. While all the while remaining still, and clear. In this way settle your mind in a state of dynamic equilibrium. Dynamic in the sense of full of energy: clear, bright, awake. With equilibrium that’s balanced. Without slipping into either agitation or into dullness. You have not completed all components of the lesson. If you continue to the next lesson you will be in auditing mode, and will not receive a course completion certificate. For more information about auditing visit the FAQ page. Do you want to proceed in auditing mode?